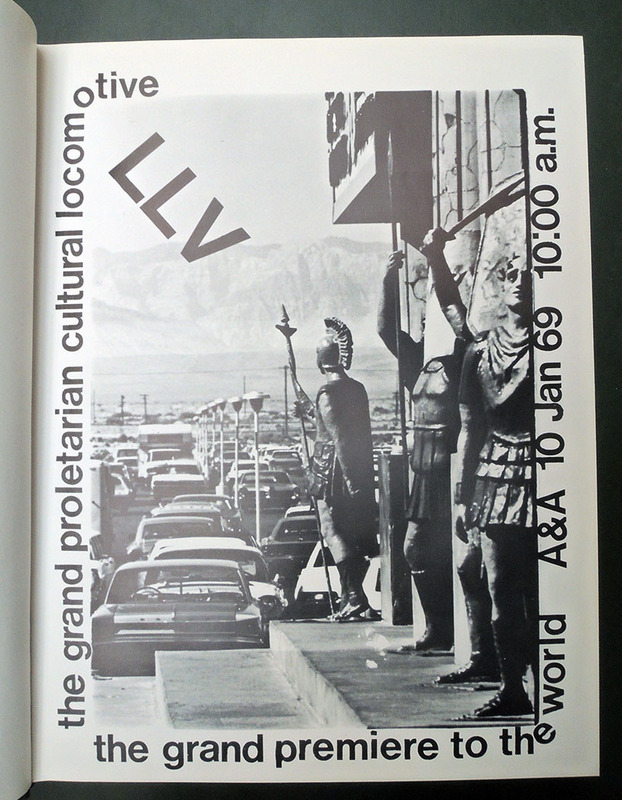 Learning from Las Vegas, designed by MIT’s Muriel Cooper, is almost always found on lists of the greatest publications of the 20th century, especially in terms of book design and production. It is priced accordingly. 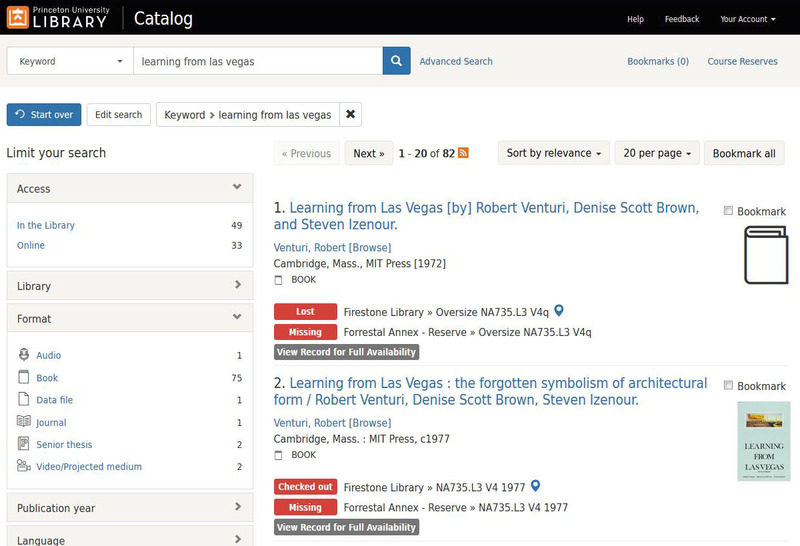 Imagine the unhappiness and confusion today when someone noticed red flags on the copies held in Princeton University Library: two were missing and/or lost from the rarest large format, first edition and one of the semi-rare smaller second edition, more than most collections have in total. A deep breath and some minutes later it was confirmed that our library holds 13 copies, only two of which are missing. An embarrassment of riches rather than the opposite. 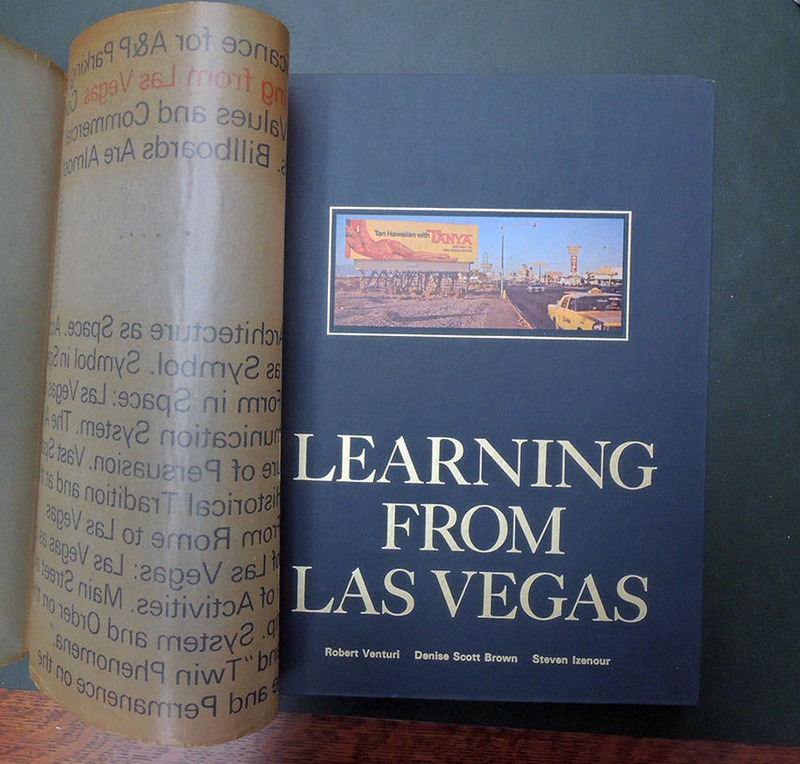 This winter, Design Observer listed Learning from Las Vegas at the top of their 2018 gift list, noting: “The reissue of Muriel Cooper’s out-of-print masterpiece, Learning from Las Vegas, authored by VSBA, tops my holiday gift list. 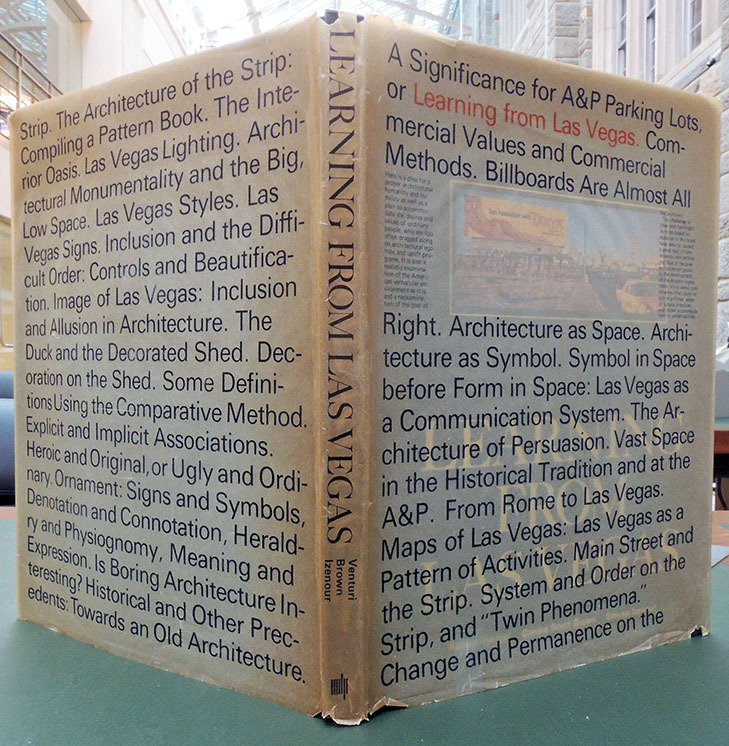 This facsimile book exists like the original as a fearless object, is a testament to Cooper’s brilliance, and will now save design book connoisseurs thousands of dollars. 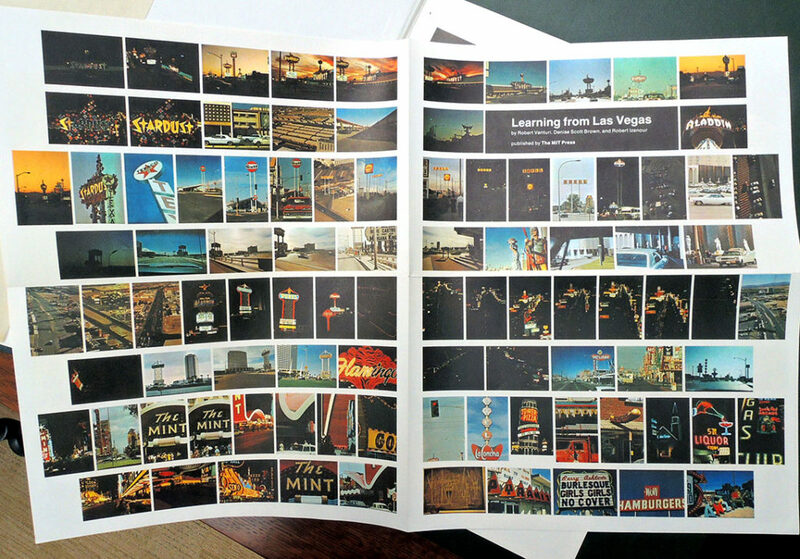 “Nearly fifty years ago, Denise Scott Brown, her husband Robert Venturi, and Steven Izenour brought nine architecture students, two planning students, and two graphic design students to Las Vegas. There they studied the famous, if often derided, Las Vegas Strip, discovering a wealth of meaning in its bright signage. 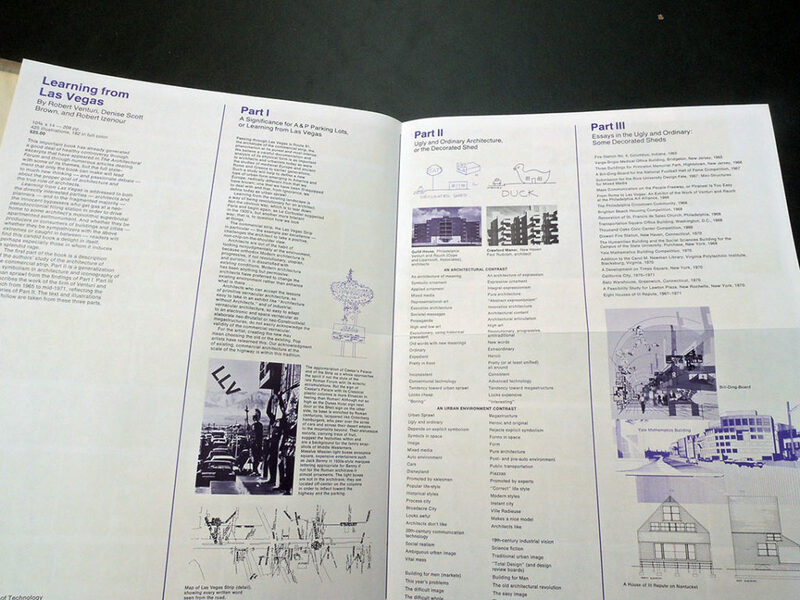 Their findings, published four years later in 1972, became one of the seminal texts of architectural theory and influenced an entire generation of practitioners and thinkers. In Learning from Las Vegas, architecture appears as “decorated shed” or “duck”. The former relies on imagery and signage to convey its program. The latter expresses its program and meaning in its form. If much of the then-dominant “late Modernism” eschewed ornament, prior architectures acted more as “ducks”. 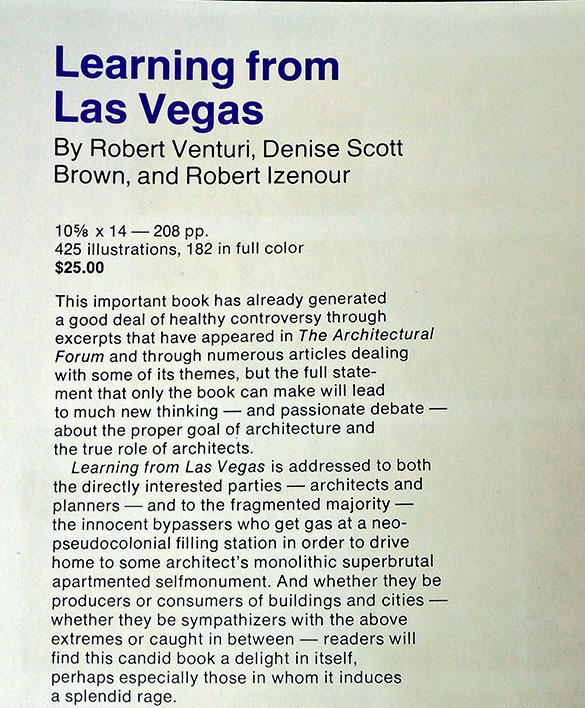 With the publication of the book, Venturi, Scott Brown and Izenour helped usher in a return to ornament and symbolism in architecture, as well as a new focus on the architecture of the everyday. This entry was posted in fine press editions, Illustrated books on January 29, 2019 by Julie Mellby.